The 2015 Ram 3500 is the best heavy duty truck on the market, offering incredible capability to customers with numerous cab styles and box lengths. With your choice of dual or single rear wheels, the Ram 3500 also offers seating for up to six people. For 2015, the Ram 3500 gains work-grade vinyl seats, and power-folding towing mirrors. In addition, the Ram Power Wagon also comes capable with hill descent control. The Ram 3500 was built to handle heavy and constant payloads, yet the 3500 utilizes a rear Hotchkiss leaf spring system and further suspension systems to encourage a nicer, less harsh ride, without sacrificing capability. The Ram 3500 offers incredible power with a multitude of engine choices, including 383-horsepower, 5.7-liter Hemi V-8 engine with 400 pounds-feet of torque, as well as 410-hp (370 hp for Mega Cab), 6.4-liter Hemi V-8 with 429 pounds-feet of torque, and finally an available Cummins turbo-diesel 6.7-liter V-8 which makes 350 hp and 660 pounds-feet of torque, (six-speed manual) or 370 hp and 800 pounds-feet of torque (six-speed automatic) or 385 hp and 865 pounds-feet of torque (3500 with available automatic transmission). The Ram 3500 is available in rear or four-wheel drive, and also comes with a standard six-speed automatic transmission when equipped with a gas engine. The 3500 offers tons of exterior luxury, including numerous available features like a spray-in bedliner, a power sunroof, power-folding heated side mirrors, rain-sensing windshield wipers, RamBox storage bins and running boards. 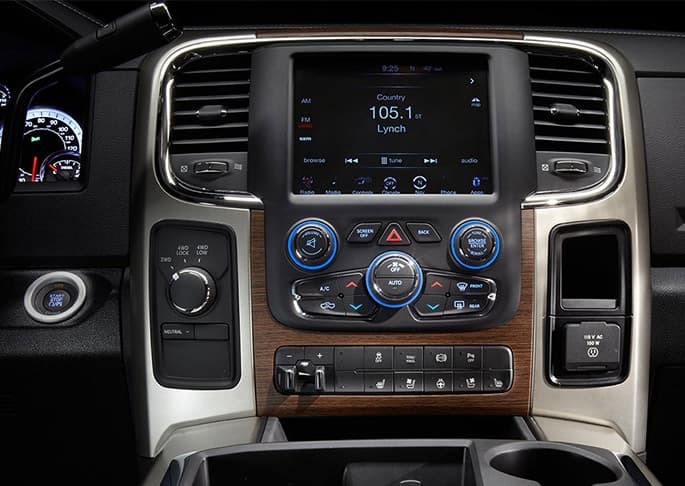 On the inside, the 3500 can be equipped to serve as a moving office, with optional features like power-adjustable pedals, heated steering wheel, rear wood trim, and technology like a 7-inch instrument panel, an 8.4-inch touch-screen and an available navigation system. Standard features include vinyl or cloth upholstery, an AM/FM stereo with USB port and MP3 jack, and air conditioning. The 3500 comes equipped with great safety and security features, including front airbags, electronic stability systems, and anti-lock brakes as well as side-impact airbags, side curtain airbags, trailer sway control, hill start assist and electronic roll mitigation. Available features include a backup camera, parking sensors, and integrated trailer rake controller. 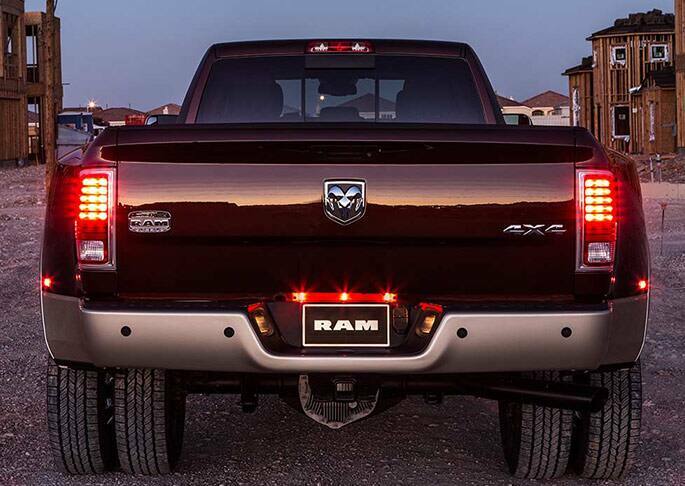 Have a question about the 2015 Ram 3500? Feel free to give us a call, or fill out the form below, and we will be in touch! Learn more about this model on the Official Ram 3500 Website.